Turtle Beach’s newest trailer showcases their truly limited edition headsets that have been customized specifically for Modern Warfare 3. Nearly each one the headsets has a price to meet any budget, and they all have different features. Check out the video below to get a taste of all the goodness that awaits in these unique cans. One feature that is really neat about the Bravo and Delta headsets is that they have specialized audio presets that have been created by Infinity Ward exclusively for these headsets. The Ear Force Delta headset even speaks to its owner! 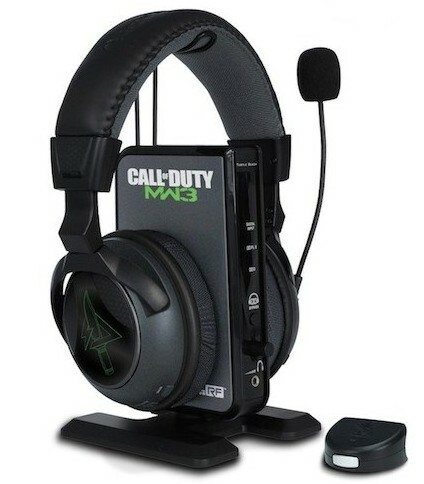 All of the headsets grant users extra MW3 special content. Will you be getting one these headsets or do you prefer to get the non-exclusive headset experience? Check out TurtleBeach.com for more information on each headset or to preorder one.